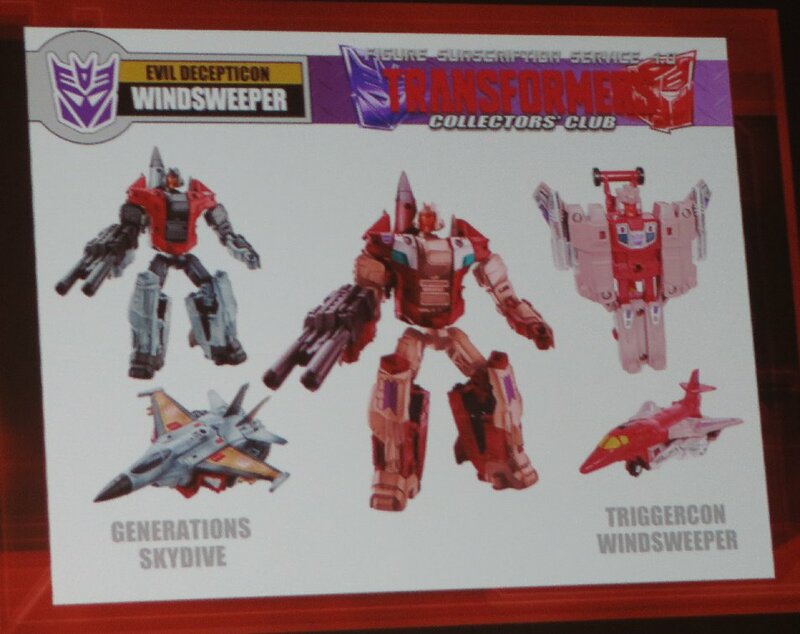 From left - Pete, Lanny, Brian. 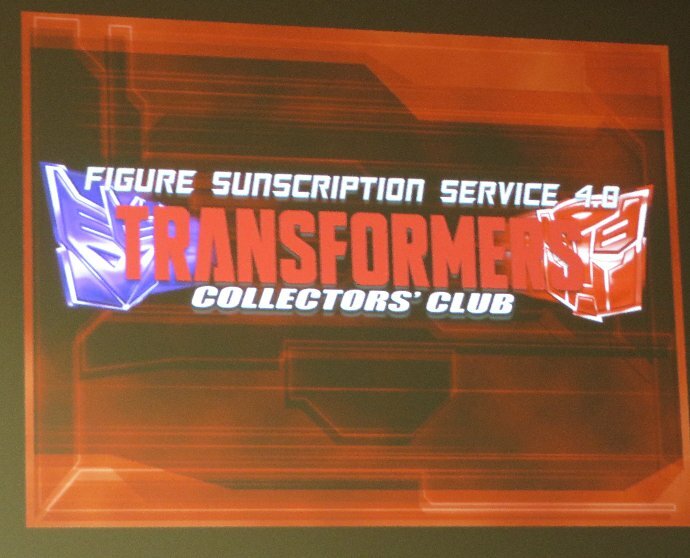 They rushed through the presentation this year, with very little commentary, so that they would be finished early to set up for the Frank Welker panel next. 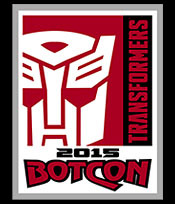 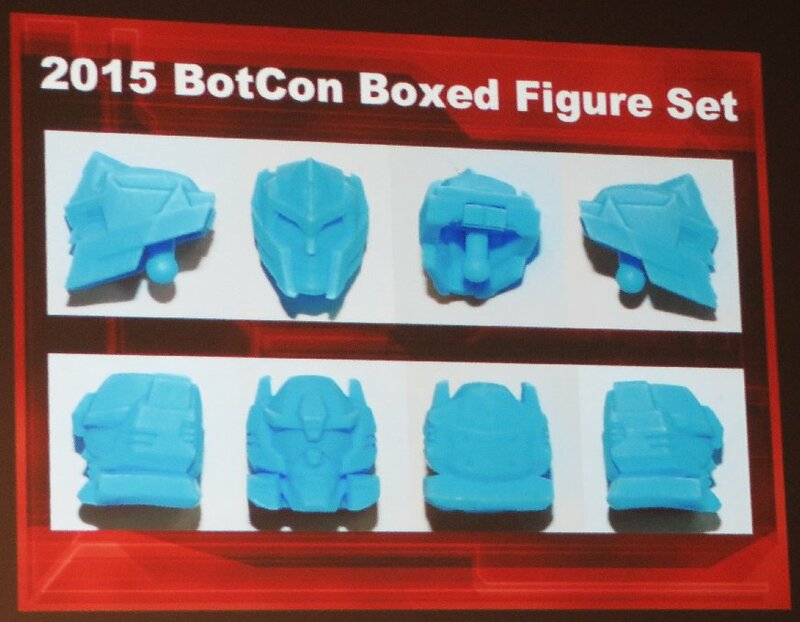 A couple of the new heads - Megatron and Battletrap - from Boss Fight. 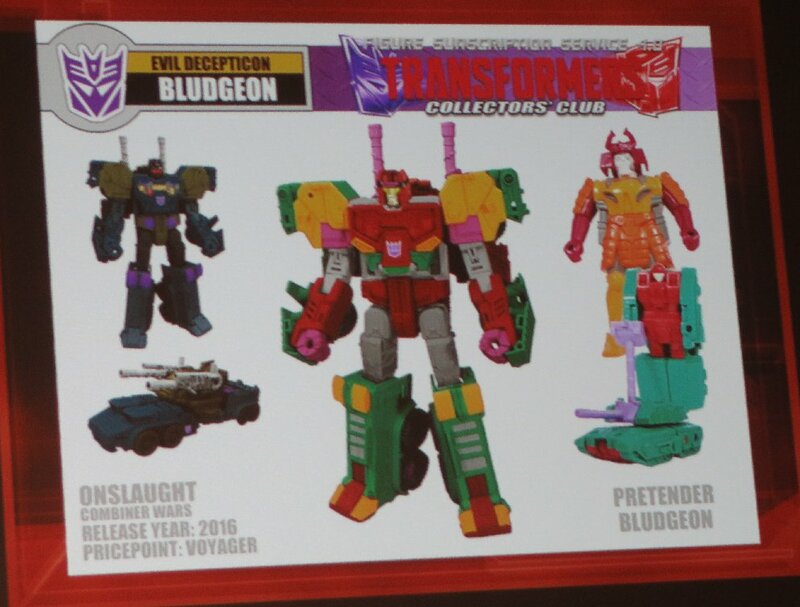 But the big feature of this year's set, to outdo last year's Headmaster Scorponok, was Oilmaster... a double pretender based on an un-named prototype figure that Hasbro had on display at Hasbro 1996, that was designed at the time of the Pretenders in the late 1980s. 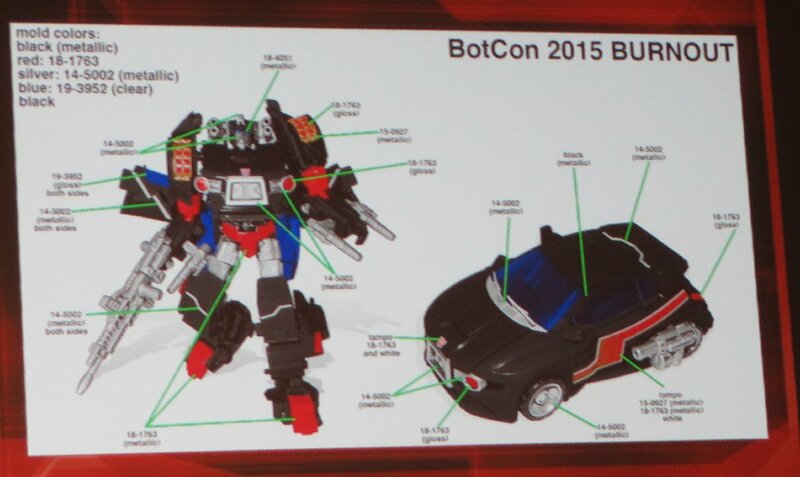 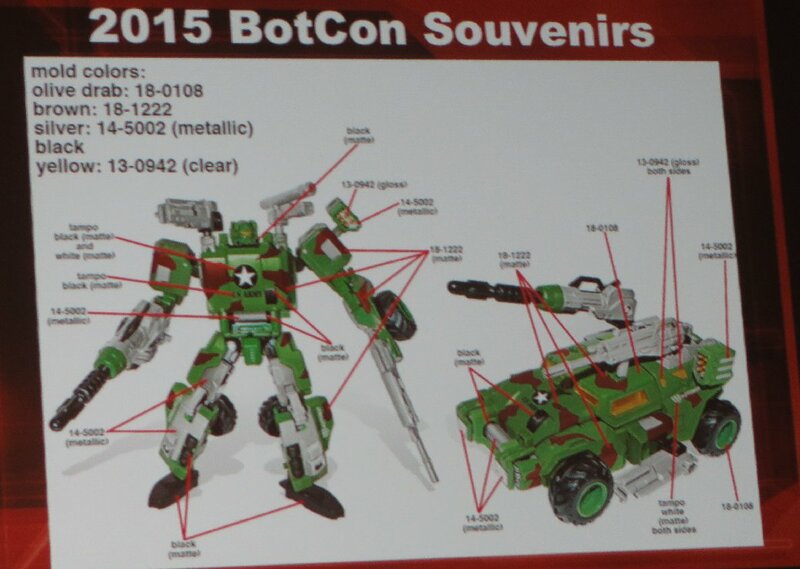 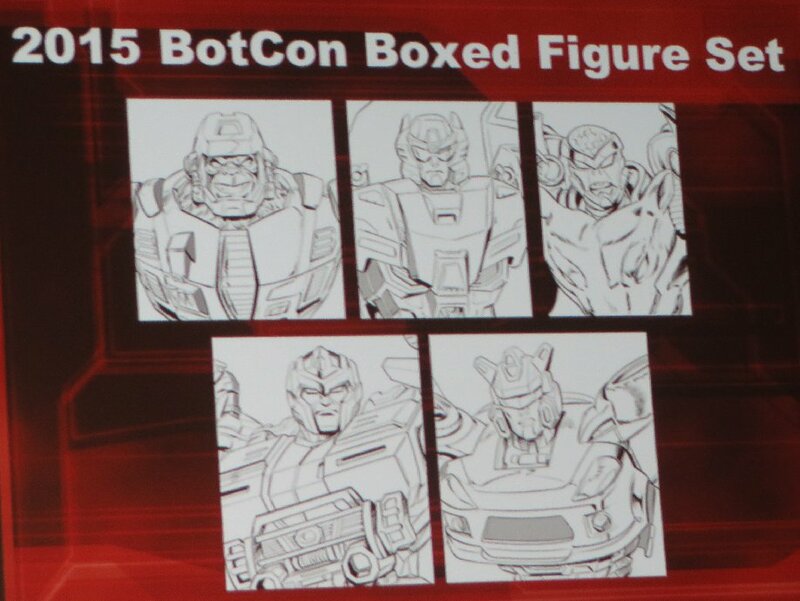 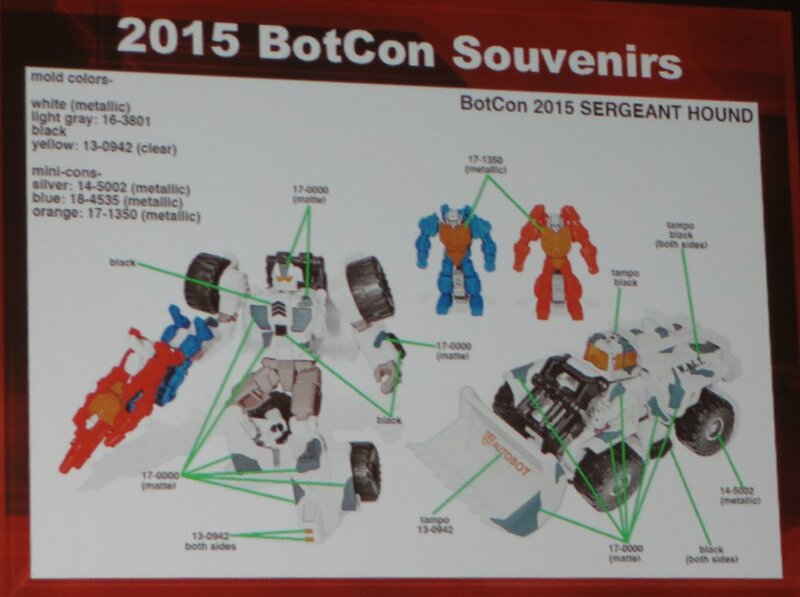 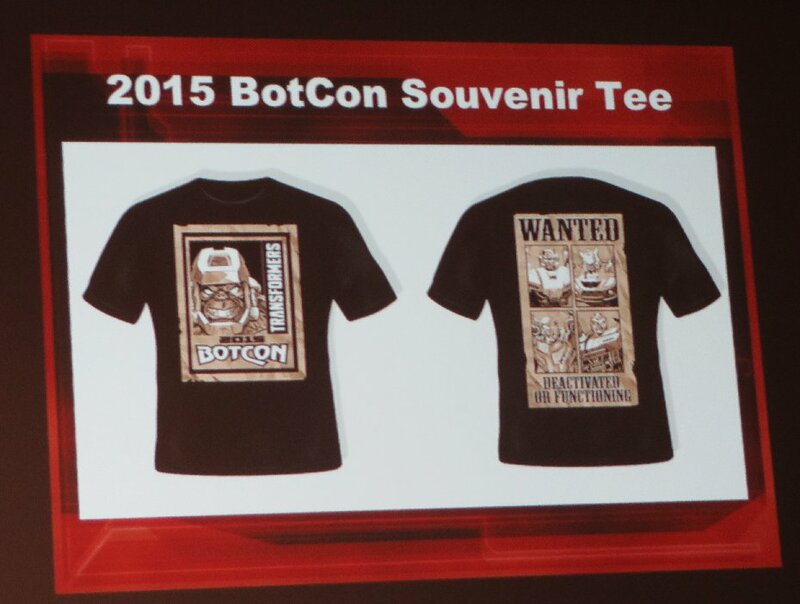 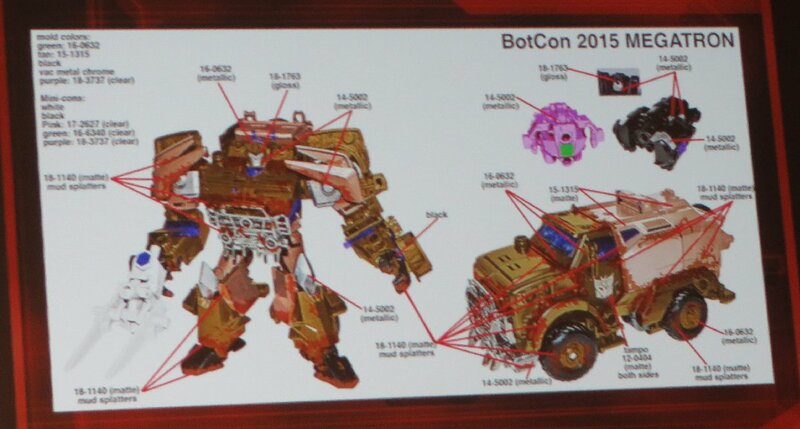 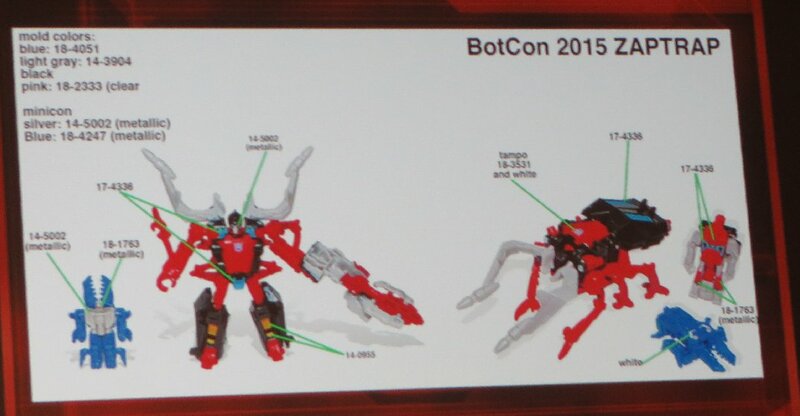 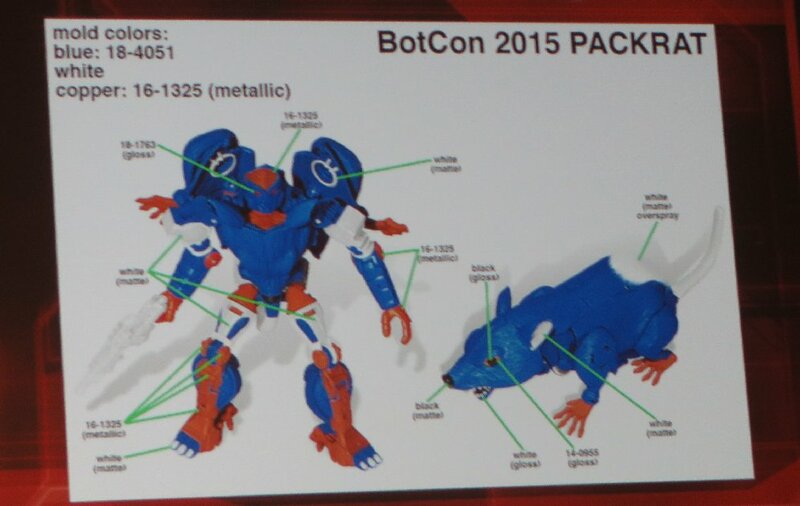 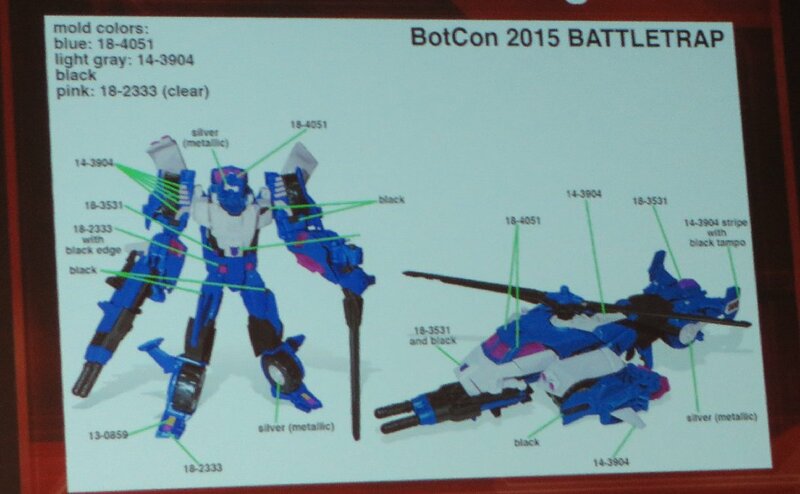 This was what the original pretender shell looked like from photos taken at BotCon 1996. 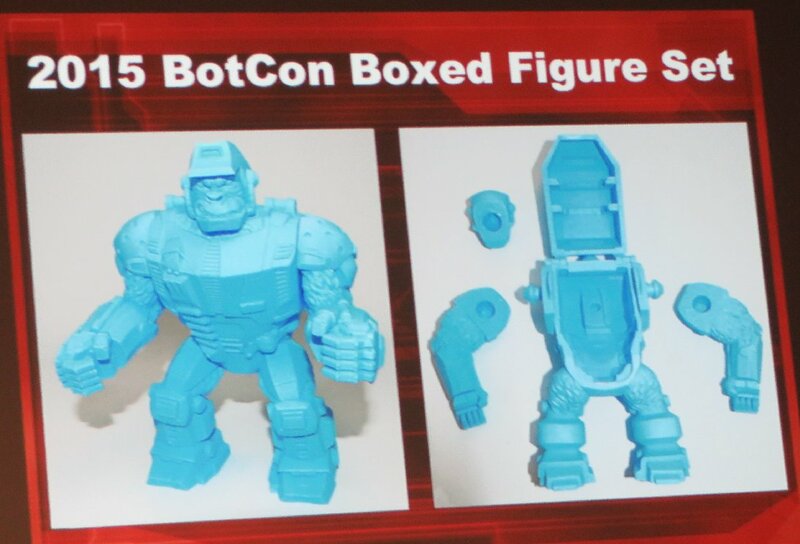 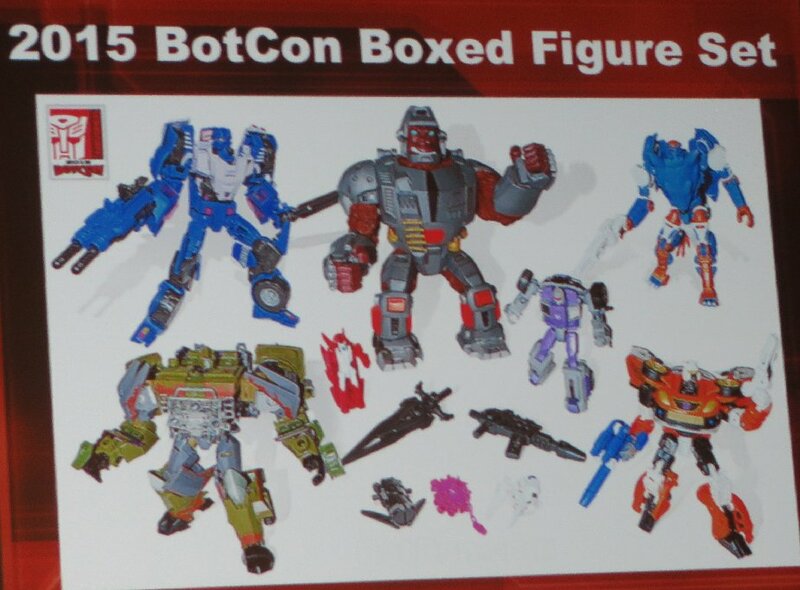 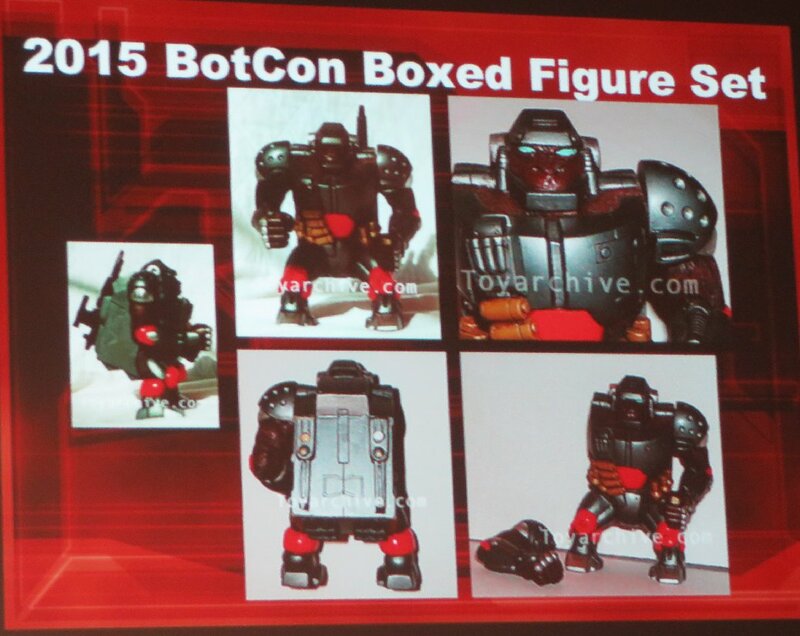 These are the five parts that FunPub had commissioned from Boss Fight for their pretender shell, which were 3-D printed before being sent to China to have moulds made and then produced. 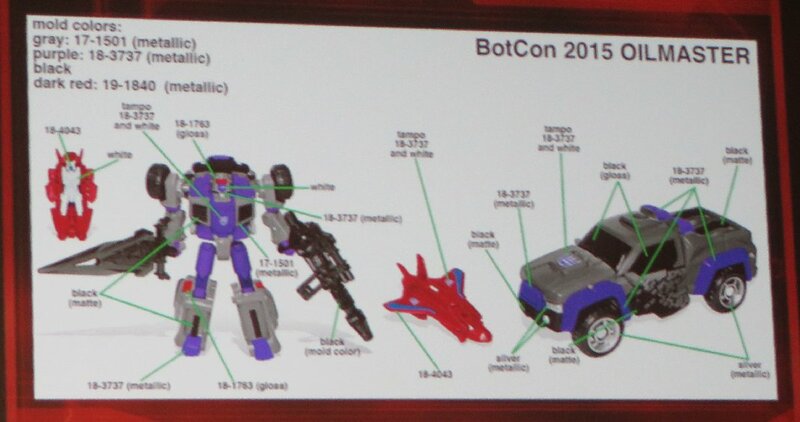 They then showed their ususal colour charts for this year's toys. 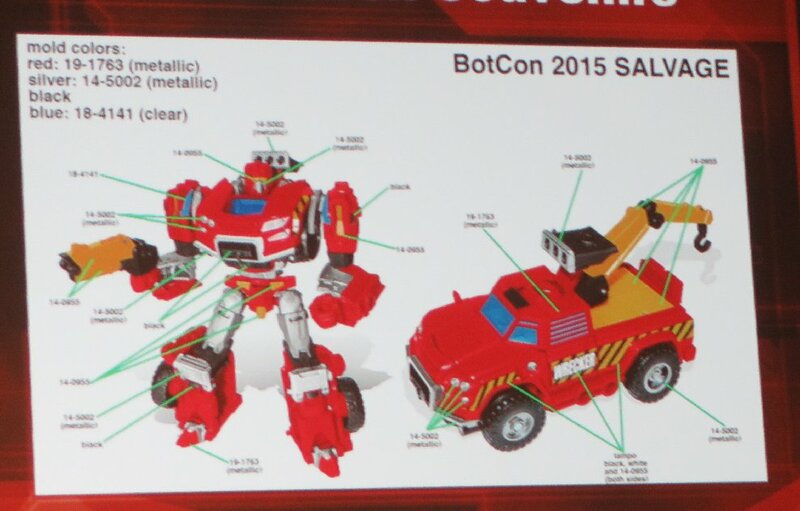 Originally called Salvage, but ended up being called Lift-Ticket. 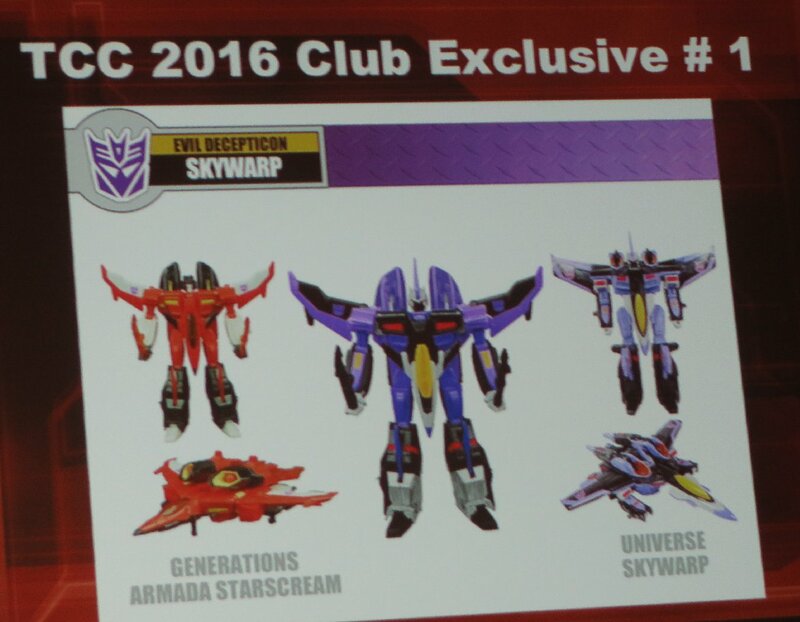 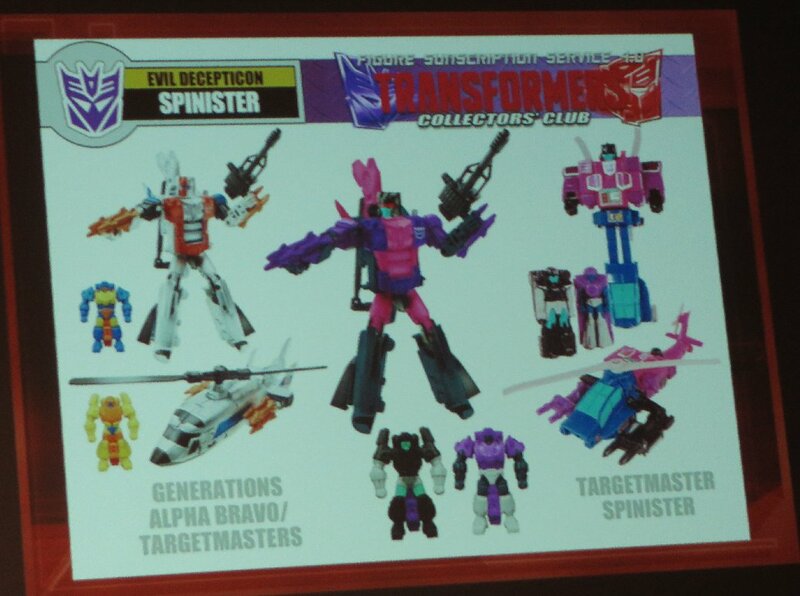 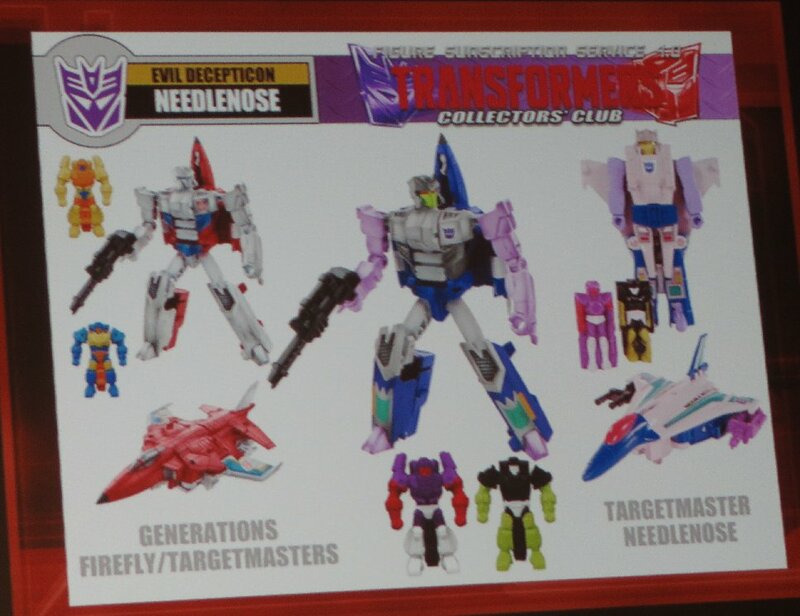 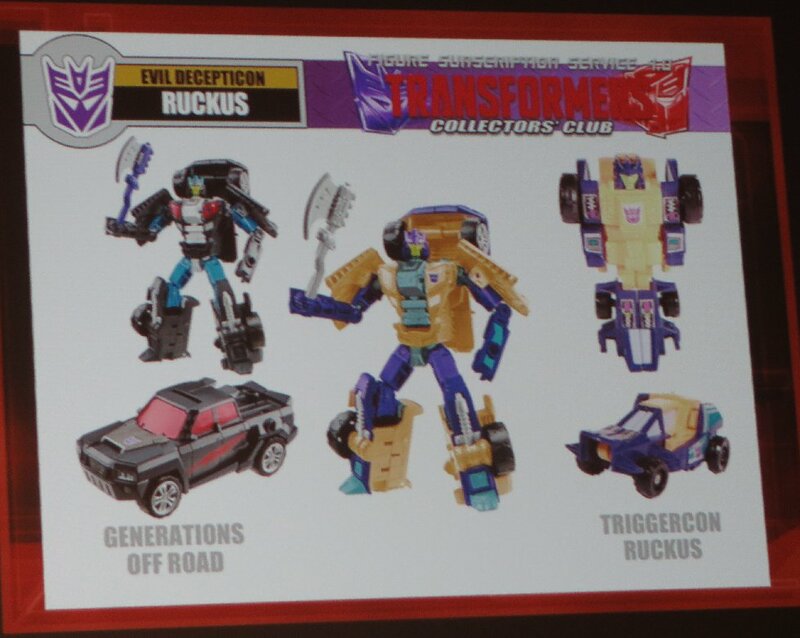 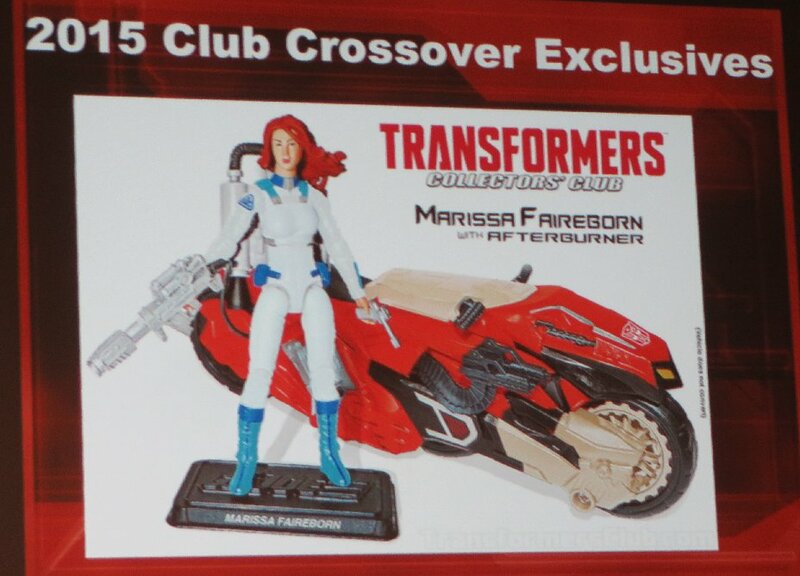 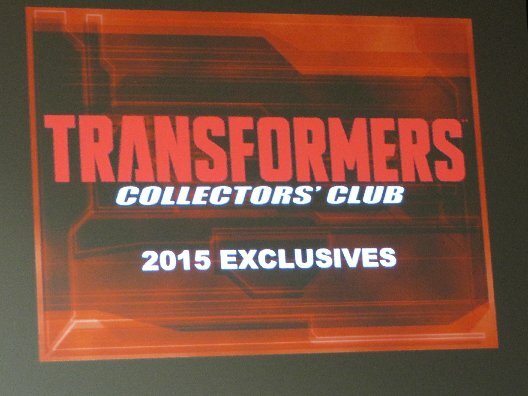 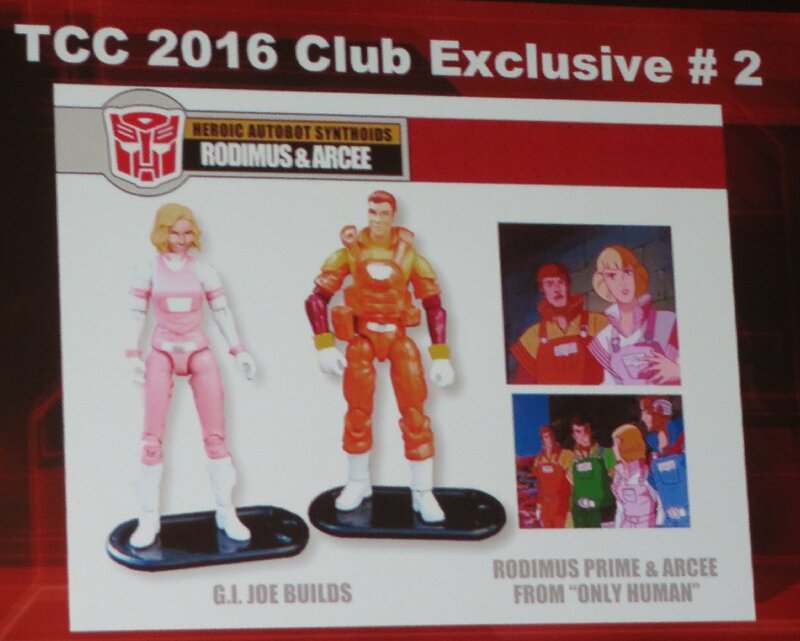 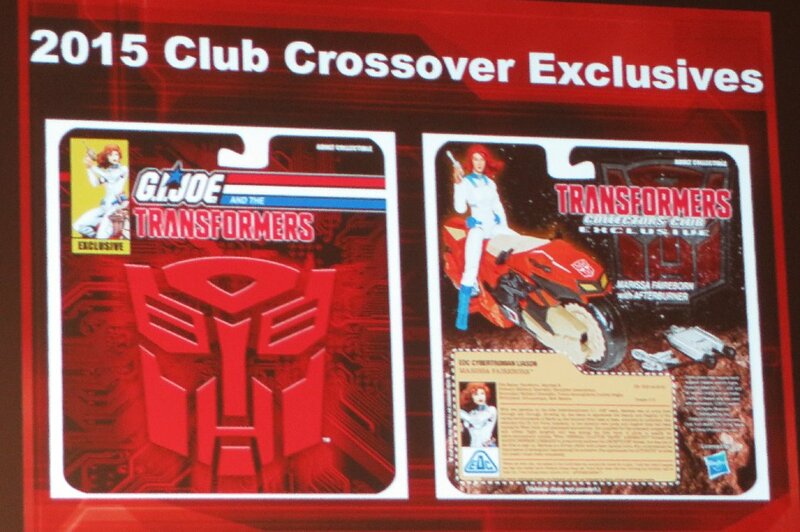 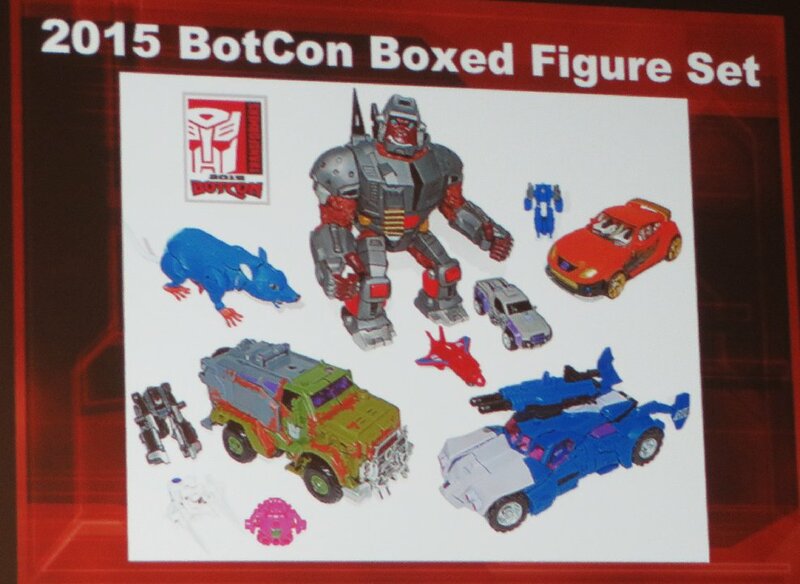 The GIJoe/Transformers exclusives for later this year. 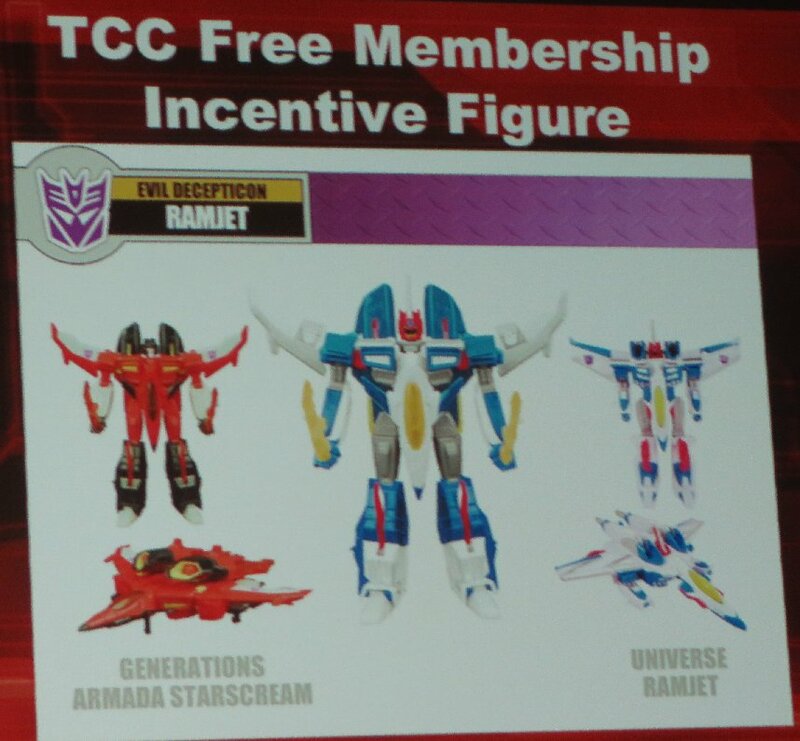 They had issues with the name Afterburner, so had to call it Afterbreaker. 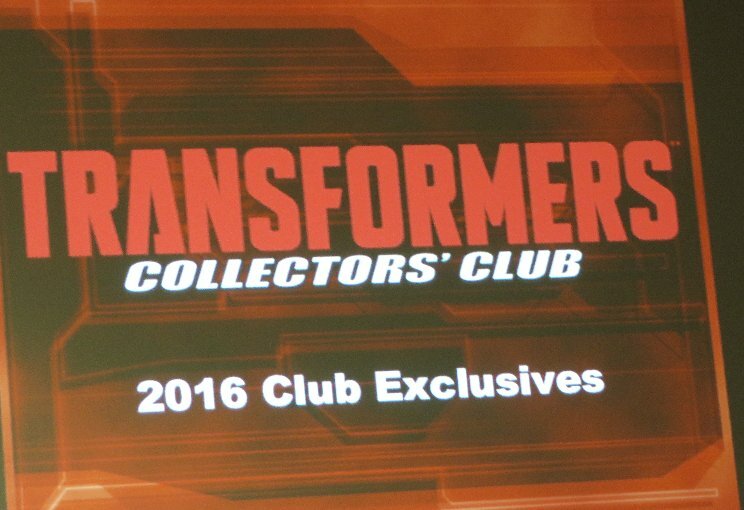 At this time they pulled out some of their samples, which would be in the Club Store display case later. 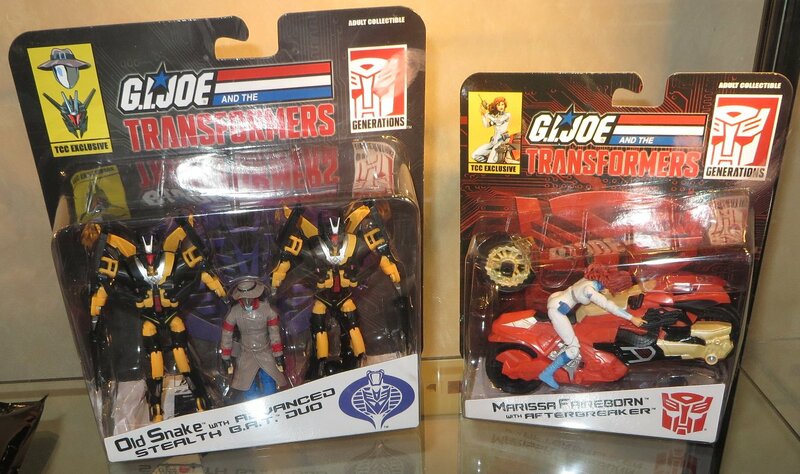 A carded 2-pack of redeco GIJoe toys, as more humans from the Transformers cartoon. 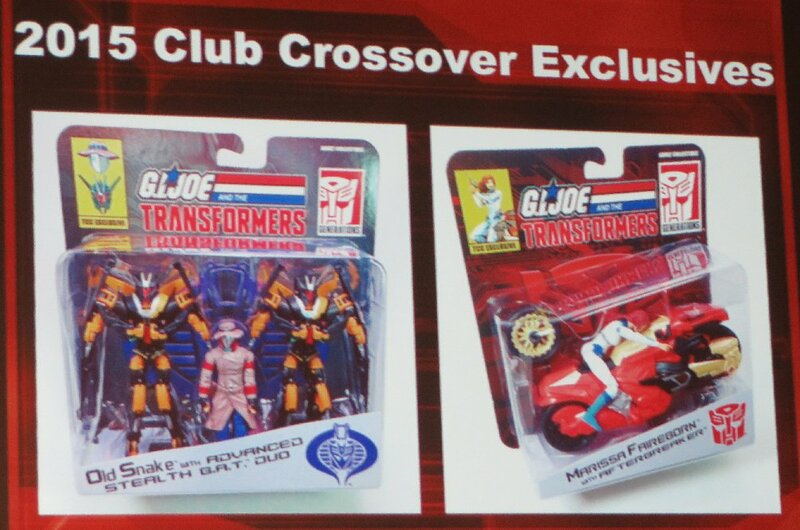 And the fourth series of Subscription toys. 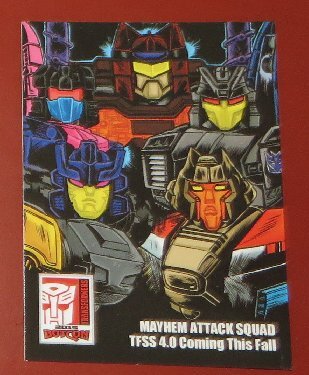 The Mayhem Attack Squad - combining to form Mayhem Maximus. 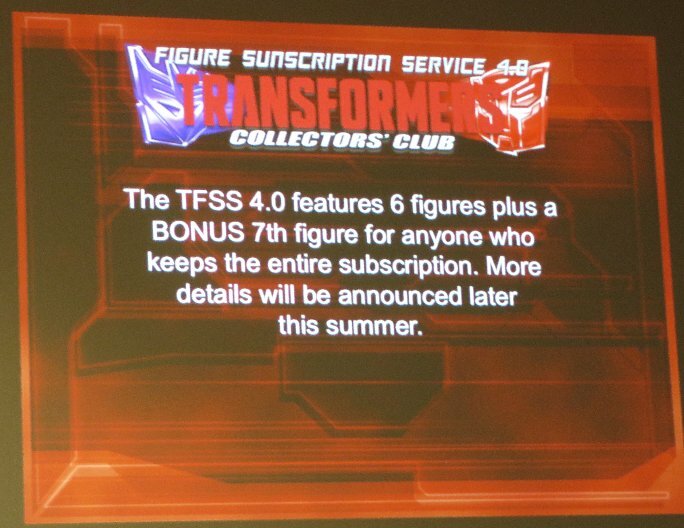 The sixth figure will be revealed later. 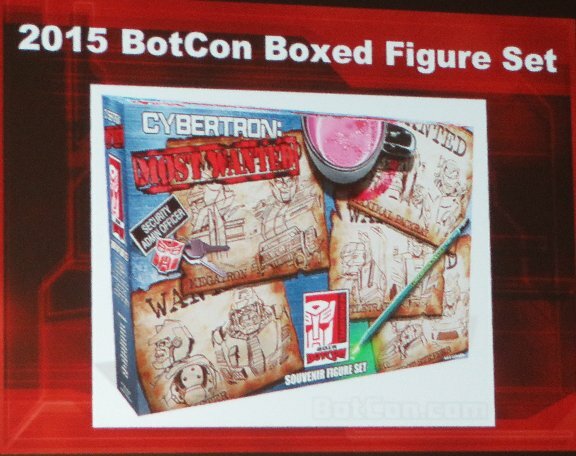 There will be a 7th Mystery/bonus figure again, which they said would be a Deluxe. 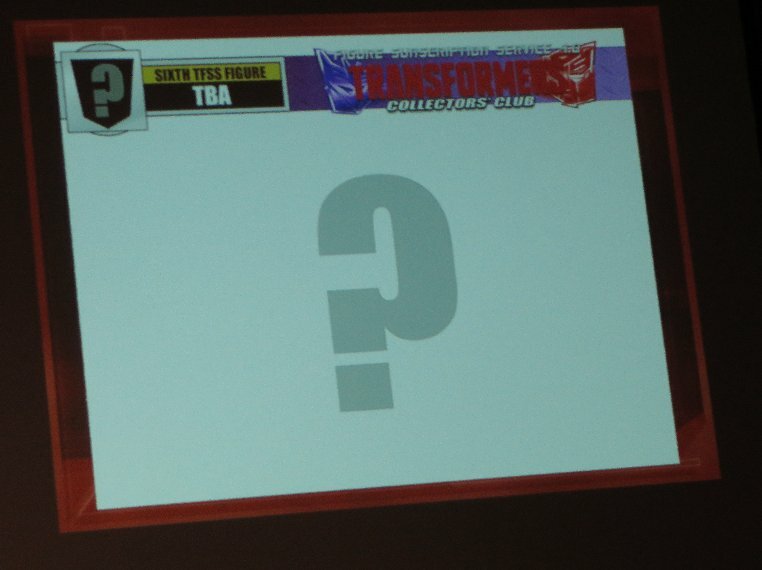 There wasn't much time left for questions. 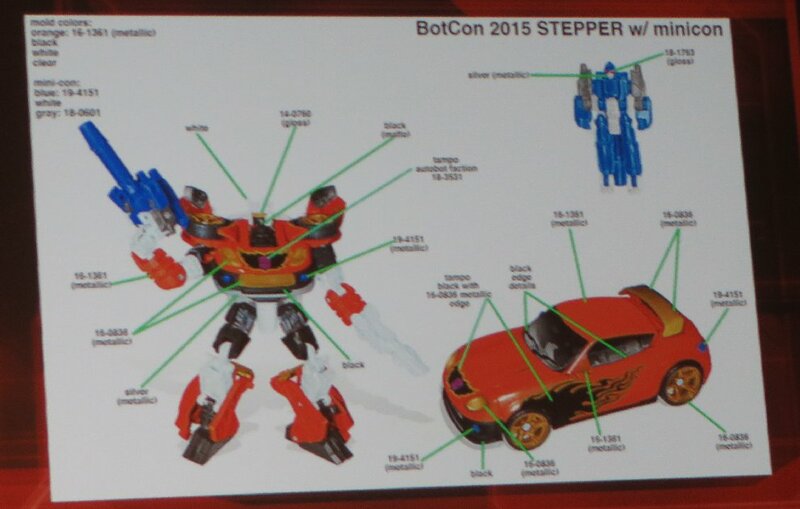 One question asked about if we would see a re-use of the Oilmaster shell, to see if we would see the alternate colour version that we saw as another Hasbro prototype - most likely as they don't rule anything out, and wouldn't waste such an expensive addition by just using it once. 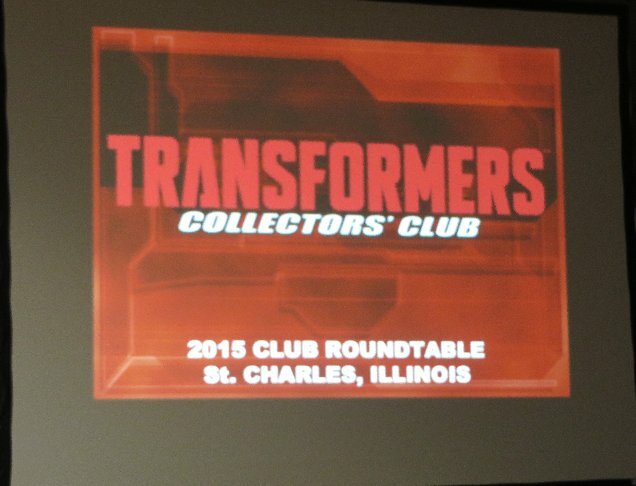 There was also a question about the Club excessively overcharging shipping to non-American customers by up to $100 per order, and then hiding the actual amount to prevent those customers from claiming a refund, but Brian didn't want to answer it publicly in front of others, by saying that the club should be contacted by email about the matter. 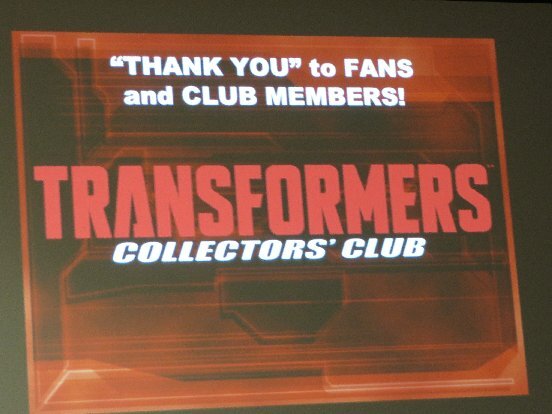 At the end of the panel they handed out a bonus collector card, to go with the ones for sale at the Club Store, including one that just had their eyes on a black background to tease the subscription team. 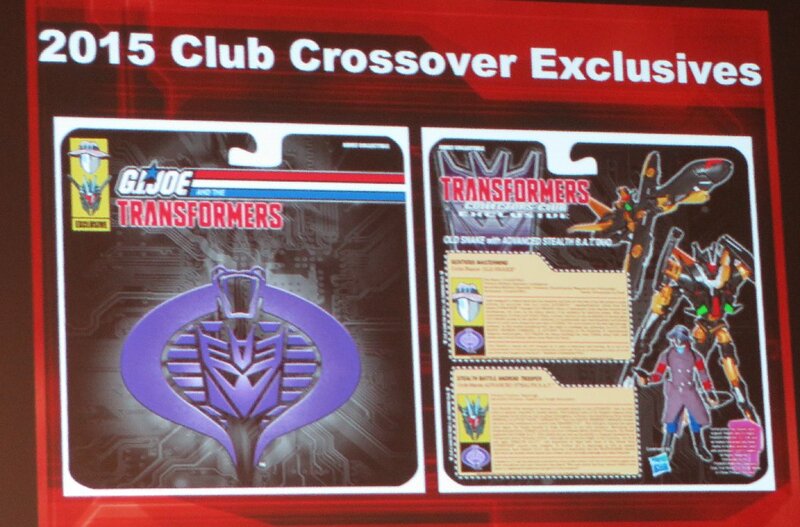 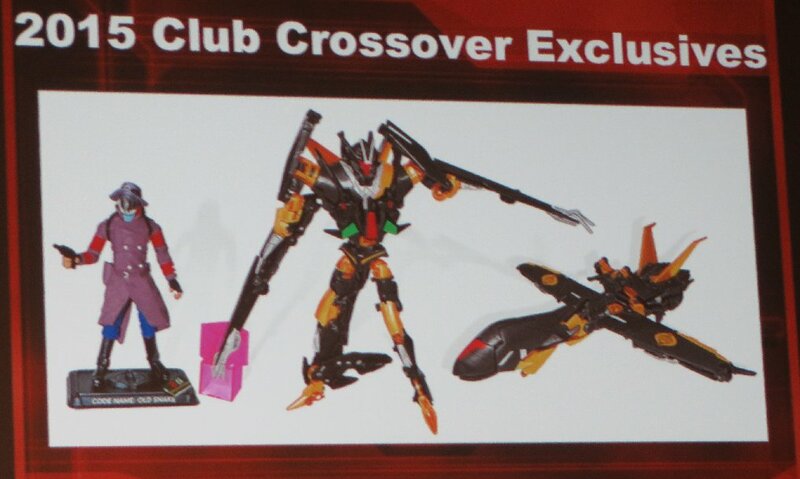 The Crossover samples that were put into the Club display case.